This is a man’s world. But as the song goes ‘it wouldn’t be nothing, without a woman or a girl’. Is the construction sector the same? 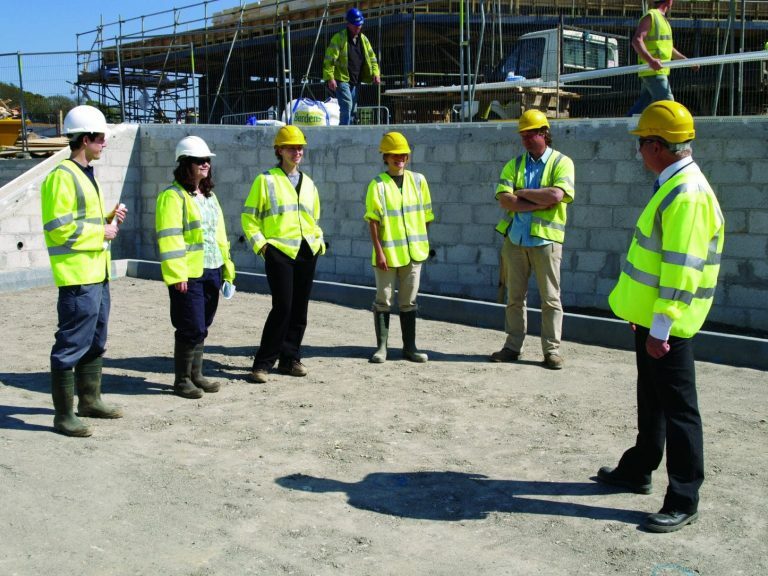 Do women in construction face discrimination? International Woman’s Day further highlighted the lack of equality between genders – promotions, salary, the ‘better’ jobs or projects – does a woman really miss out on these things simply because she’s female? Cornwall Environmental Consultants is a fabulous place to work. Of course we have all the company policies in place to ensure equality – not because we have to but because we want to. Everyone should enjoy coming to work. Everyone should feel that regardless of gender or age, their employer has ‘got their back’. Personally, I cannot image working somewhere where I felt belittled by male workers, colleagues or otherwise – but I can imagine this is the case for a lot of women in the construction world. My husband is a carpenter. He admits it’s a rare sight to see females on a building site. A woman on a building site must have some fire in her to take on such a male dominated sector. Still, it made think about all those women who would love to be in the building trade and construction sector but do not want to deal with the negative vibe that comes with it. Much like men who would love to be nursery care workers – this is a hugely female dominated sector – and although I think most women would embrace more men into this profession, one has to wonder how difficult it is for a man to pursue this type of career. CEC employee’s have a higher number of females compared to males. Our new CEO is a woman. But nearly all of us, the men too, have young children. We all know that pressures outside of work – doing the school run, poorly children, sleepless nights, school plays, parent evenings, sports days etc etc – are just as important as meeting that client deadline. Even those employee’s who do not have children, have other demands outside of work – fur babies (as we like to call them) that need a vet appointment or elderly parents that need support. We all get it. We all support each other. And it works. Randstad / CN research can reveal that women face barriers in construction because of their gender. One in five companies have never employed a woman into a senior position, with half of all firms claiming they have never had a female manager in their business. However, 93 per cent of all respondents said having a female manager would not affect their jobs or would have a positive effect, with 31 per cent of women saying a female manager would improve their working environment. There was an almost even split between the proportion of companies that had at least one woman on their boards (53 per cent) and those that did not (47 per cent). Furthermore, a quarter of all women surveyed believed they had been passed over for a project or promotion and 28 per cent of women reported they had experienced inappropriate comments or behaviour from a male colleague. The figures show that women are struggling to get into more senior positions the further up the career ladder they go. Why is this the case? One reason could be simply the lack of female representation in construction’s workforce, according to Mabey chief executive Juliette Stacey. “If you have a small pool of women in a big pool of men, obviously more men are going to be selected for promotion,” she says. VGC Group services director Ciara Pryce said women may not feel confident enough putting themselves forward for senior positions because of feeling like a minority in a male-dominated industry. The numbers stack up: construction has a problem with gender inequality. The main question is: how can the industry work together to lower these statistics. I also think the older generations have a play to part in this. Parents perhaps haven’t supported their sons who wanted to work with children, or daughters who wanted to become plumbers. The new generation of parents hopefully will support their sons and daughters no matter what career choice they make….maybe because they have experienced such scrutiny themselves.